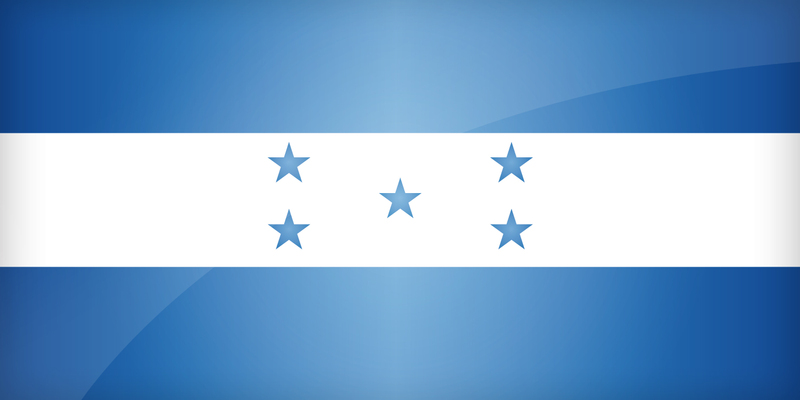 The flag of Honduras was adopted on 9 January 1966. It is composed of three horizontal stripes: blue - white - blue, withd five five-pointed stars in the center. This flag is a direct reference to the United Provinces of Central America (such as El Salvador or Argentina). As is often the case in Central America or Africa, the composition of the flag recalls the country�s geography : the blue represents the seas that surround the Honduras north and south (Pacific and Caribbean Sea), while the white represents the country itself. As often when this color is used, some see it as a symbol of peace. The five star in the center, arranged as a St. Andrew's cross, represents the five members of the former United Provinces of Central America. You can download it in different sizes, in a decidedly modern design for your personal use, or for wider use. Honduras's flag is available in 4 different sizes. Keywords: Flag honduras wallpaper, Honduran, Republic of Honduras, National honduran flag, banner, pictogram, country, icon, Honduras icon, international, Tegucigalpa, Tegucigalpa, San Pedro Sula, Choloma, North America. This page has been viewed 5272 times.